Thanks guys. These are some nice lenses. For the money it's hard to beat. It would have been this or the Sony Cinealtas. But those are hella big and heavy I hear. But really good image. A shot from the brand new 32mm. Shot this couple days ago for a commercial . Last edited by jambredz; 12-24-2018 at 03:22 PM. But I know these lenses and I'm almost certain that isn't what's going on here ! I know these lenses well enough by now and I've grow to like them the more I use them. The 32mm is a great length too. How have you found them so far ? I love them so far. I really think they are great bang for the buck. I like that they are not razor sharp (I can always sharpen in post if i need). And the bokeh is really nice. One big factor for me is the small size. I love it. I had a friend's Xeen recently and as big as the Xeens are...the SLR magic was heavier, denser and felt better made...just solid, but way smaller than the Xeen. The Xeen felt like a toy. Also since they have no rear element, I will be getting the metabones speedbooster PL to MTF which was really made for CP2/CP3 or any PL lens with rear element shorter than 15.7mm. Well these got none lol . I will be using it on my pocket 4k. For now I have a normal non boosted PL to MTF adapter. The 32mm definitely fills out the set nicely. I shoot 90 percent of my stuff on these 4 focal lengths. So I'm good. Last edited by jambredz; 12-24-2018 at 11:24 PM. lol Funny thing is I didn't see this till now. I guess cuz I was actually there and saw the jacket (meant jacket and not dress). Didn't even think about CA. 32mm is up on BH. I don't know if that means its readily available. Hi all, I've done some tests to see how the APO's match one another, and am posting here to see other user's thoughts, and if they are experiencing the same performance. I should preface that I really like the APO's, and these tests are just a good way of understanding one facet of how they perform (mainly how well they match one another). I have sent the test to SLR Magic, and John has commented that my tests are consistent with other user's feedback, and normal. In any case, I would absolutely love to hear other's thoughts/opinions. I hope these are helpful to the community. 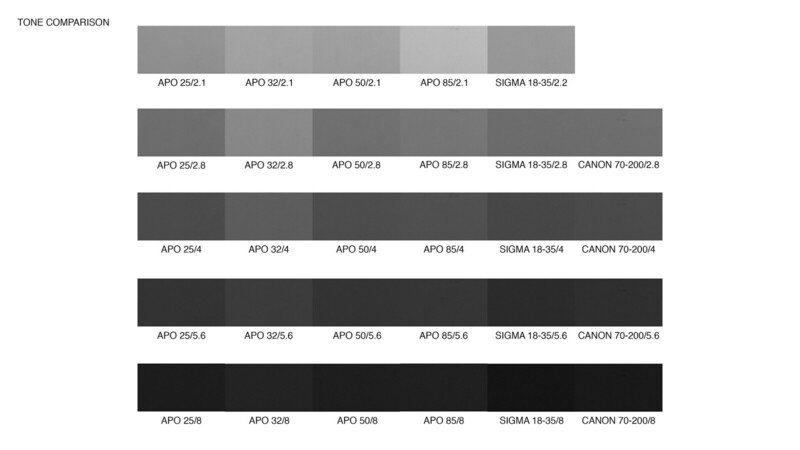 First off, here is a chart of swatches from a grey card of the apo's, a sigma 18-35, and a canon 70-200. 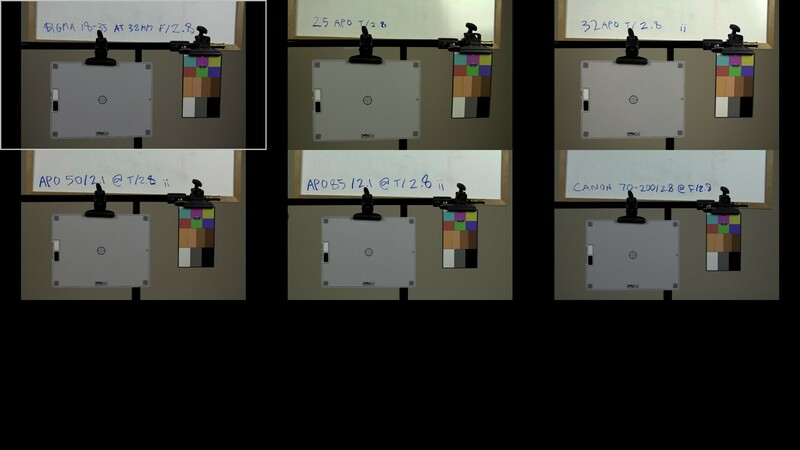 All camera settings matched in controlled room with no ambient/outside light. - The 25 is definitely green. - 85 looks very close to the 50. - The 32 seems very slightly greener than the 50. - Surprisingly the Sigma 18-35 and Canon 70-200 match the APO 50 better than the 25. 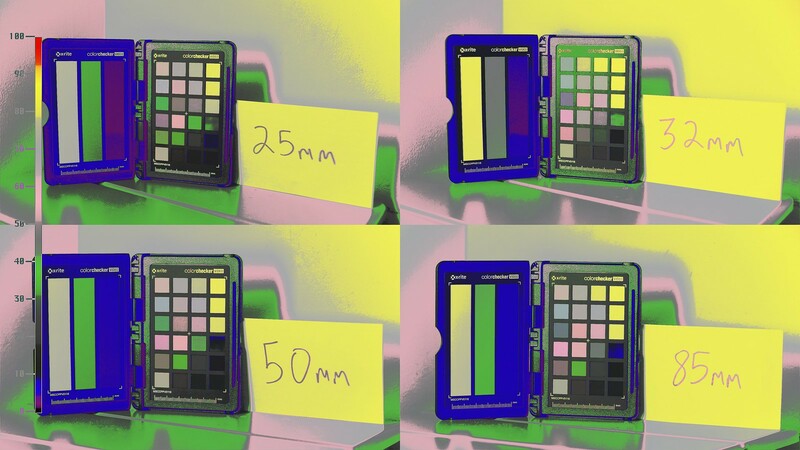 - It seems like once tone is matched, color is relatively close between the 32,50, and 85... the 25 needs more of an adjustment for sure (as does the 32 which also seems very slightly green... but this is not really enough to be bothered too much by imho). - It is interesting to note that, in terms of color on the APO's, it's almost like a gradient shifting green as we go wider in focal length. And here are Joe's. 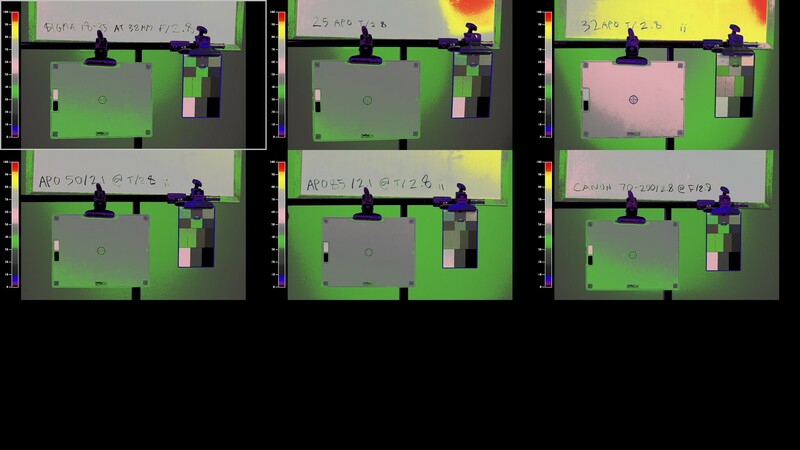 I've also applied false color to these charts for reference. The results looks pretty similar to me. 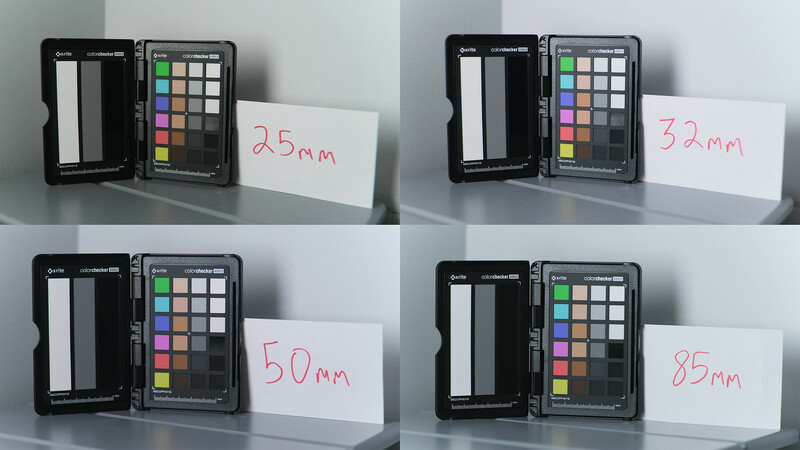 - When comparing to other, more expensive lenses from this test - http://www.artbyphil.com/phfx/dib/sa...onsistency.jpg I think the SLR Magics are obviously not as consistent as the master primes, or leica c series, but they seem to compare well against some of the others. - I had considered the Sigma or Tokina lenses as alternatives, and would love to test how consistent they are in the future. That said, in blind tests, I've never really gravitated towards the Sigma & Tokina image, thus I went with the Hyperprimes. I might have went Otus, but being stuck in EF mount is an issue. In conclusion, despite my chart results, I am still really happy with the Hyperprimes in real life shooting.... its just good to know how the lens act. Amazing detailed testing Eric. Have you posted this over REduser? When I get time I'll take a closer look on all these. That said.... In real life shooting I'm really. Liking these lenses over the stark cleaness of the sigmas. Tokinas I'd love To get my hands on to test.